Key difference: Kindergarten is a type of preschool that strives to educate little children through the means of games and fun activities. Child care denotes looking after a child for the time until its parent or legal guardian returns from his/her work. Kindergarten is a German term, which means a garden for children, when translated into English. This term was first coined by Friedrich Froebel, who was successful at setting up the very first Kindergarten school in Germany. He stressed upon the significance of playing and playtime activities, in the life of a child. He believed that playing games would boost the social, spiritual and mental well-being of a child. Kindergarten essentially, is a type of preschool. Child care as the name suggests is the act of taking proper care of the children, until their parent or legal guardian comes back to them, from his/her work commitments. Child care exposes children to attributes such as socializing with other children or people, which would help them in the long run. Child care is often provided by adults but, it may also mean babysitting or nanny care. 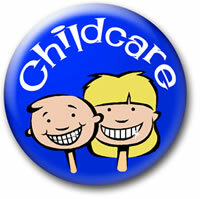 Child care is generally chosen by the parents/guardian who can’t devote enough time to his/her child during work hours. From German Kindergarten, literally "children's garden"
From Old English cild "fetus, infant, unborn or newly born person," + Old English carian, cearian "be anxious, grieve; to feel concern or interest"
Nanny care, babysitting, child care center etc.